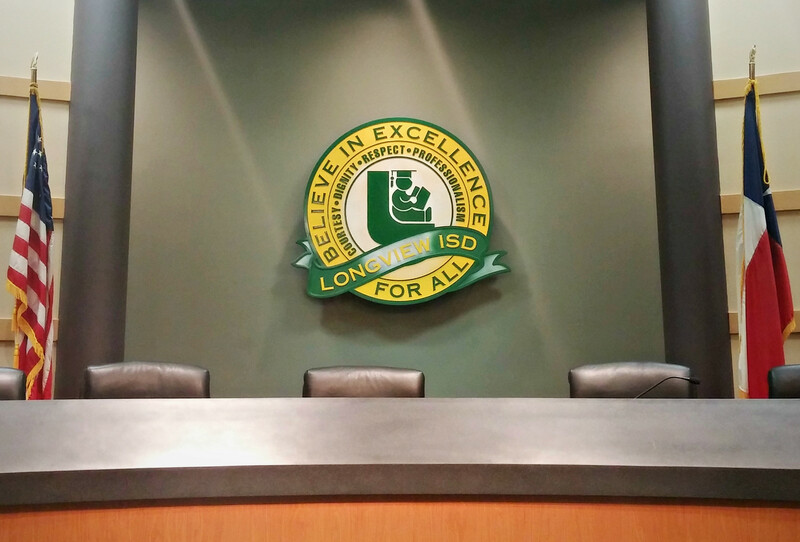 The Longview ISD Board of Trustees usually meets at 7 p.m. on the second Monday of the month in the boardroom of the Education Support Center, 1301 E. Young St. Please click here for the complete schedule of board meetings, and click here for an interactive district map of where our board members serve. Michael is a Partner at Gans & Smith Insurance Agency and was elected to the Longview ISD Board of Trustees in 2018. He and his wife Julia have 4 children, two are current Longview ISD students and the younger two will be soon. Michael is also involved in multiple organizations throughout the community, including the Longview Chamber of Commerce, Longview AMBUCS, Longview Greggton Rotary Club, Greater Longview Soccer Association, Longview Boys Baseball Association, and many more. Before retiring from LISD in June 2016, Ava Welge had a more than 40-year career in education. She was a math teacher at Forest Park Middle School for one year, then an educational diagnostician with Longview ISD for 14 years. In that role, she assessed, diagnosed and worked with children with learning problems. Though based at Johnston-McQueen Elementary School, Ava served multiple campuses. She and her husband, Jack, have two daughters who attended Longview ISD schools. Dr. Mack is a local dentist and a 1976 Longview High School graduate. He received his Bachelor of Science degree from Stephen F. Austin State University in 1979, and has been in private practice since his graduation from Baylor College of Dentistry in 1983. He was first elected to the board in 1993, and has served in various capacities, including as president. Mack and his wife Lisha are the parents of a daughter who attends Longview High. Virginia Northcutt is the special events coordinator for the Buckner Foundation and has previously served as the Gregg County Historical Museum's executive director. As a parent volunteer, she has served in many capacities at Longview ISD, including as president of the Foster Middle School PTA and Longview High School's PTO. She and her husband Gordon are the proud parents of two children, both Longview High School graduates. Shan Bauer is a 1999 graduate of Longview High School, where she was active in Lobo Band, Majorettes, Peer Assistance and Leadership Students (PALS), before earning a bachelor’s degree in Business Administration from Letourneau University in 2013. Currently she works as a Executive Administrative Assistant at Skeeter Products of Kilgore. Bauer is married to Gary Bauer and the couple has three children, all of whom attend Longview ISD. Bauer was elected in 2016 and serves as vice president for the board. Office: 1 Skeeter Road, Kilgore (903) 615-3086. Ted Beard earned a bachelor’s degree in human services from Letourneau University and works as a claims representative and an equal employment opportunity counselor for the Social Security Administration. He is a retired sergeant major from the United States Army and a combat veteran of Desert Storm and Iraqi Freedom. He has served in various capacities on the board, including assistant secretary and vice president. Beard and his wife Rosalind are the parents of three sons and two daughters. Dr. Simmons is a local dentist who was first elected to the board in 1986. Dr. Simmons has served the board in various capacities, including assistant secretary, vice president and president. He has also served as president of the Texas Association of School Boards. Dr. Simmons and his wife Kathleen are the parents of four children, all of whom are Longview High School graduates.